Today in head-scratching oddness, two of the world’s biggest tech companies have engaged in a pecular game of one-upmanship. 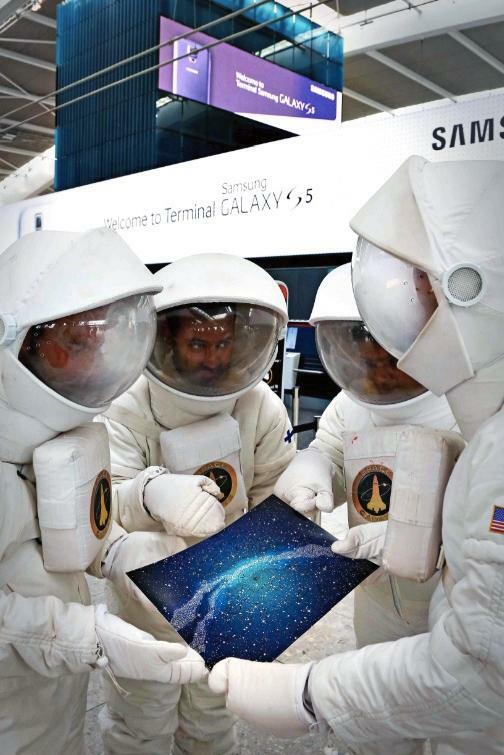 “Imagine how excited we were then to learn that you can now reach ‘the Galaxy’ via Heathrow’s Terminal 5. This weekend, to make the most of this stellar opportunity, we sent four intrepid Lumianauts to Europe’s busiest airport,” the company said in a blog post. Samsung’s move to rename Heathrow’s Terminal 5 was already strange. Now, it has inspired a similarly oddball retaliatory stunt. While Microsoft’s practical joke is sure to get some laughs, it shows that the company lacks effective pranksters. There’s still some time before Samsung’s temporary reign over Heathrow expires, so Google and Apple have time to get in on this. Mostly, just for our amusement. May we recommend an alien invasion? Samsung may be about to resurrect a product line that last saw an entry three years ago. Renders of the Galaxy View 2 show it's sticking to the tablet-that-thinks-its-a-TV formula.